Astro Buster - Why travelling 500.000 million kilometres? Defend the earth from incoming astroids and comets. Test your skills in this fast and fun defense game. Collect power-ups to improve your odds. This game is a new genre defense game. Defend the earth from incoming astroids and comets like 67P/Churyumov-Gerasimenko (or similar). This time we don't need Philae. 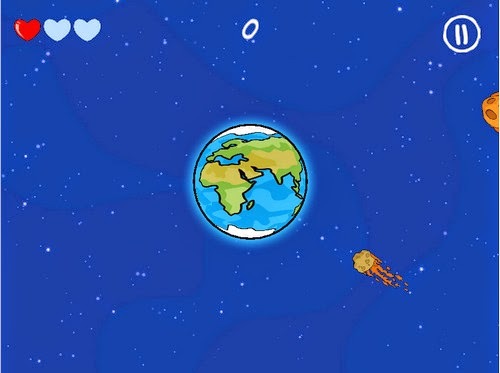 Save the earth and destroy (by tapping) the astroids before they hit the earth. Tap in the direction of the astroid to destroy him. Have fun and enjoy with this new NowGamez game!